Arizona residents and travelers will be excited to hear that, come 2019, they’ll have a reason to look forward to summer. A new resort boasting an 85,000 square-foot indoor waterpark and much more will be making its way on to the Valley scene in the second part of 2019. Great Wolf Lodge Arizona’s 18-acres of fun, right next to the Salt River Fields at Talking Stick, will bring “immense joy to families,” as the 18th Great Wolf Lodge resort in North America and, in our opinion, what’s likely to soon be the most visited one. A giant waterpark in the middle of a desert is a win-win for everyone. 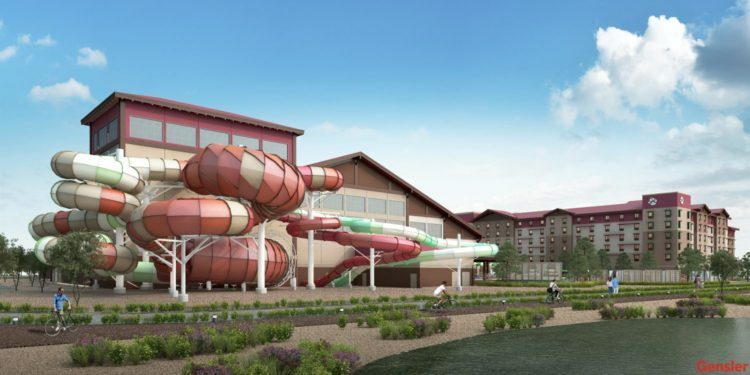 However, the lodge’s massive waterpark featuring body slides, tube slides, raft rides, and something for everyone aged 3-93 isn’t all Great Wolf Lodge Arizona will be offering. 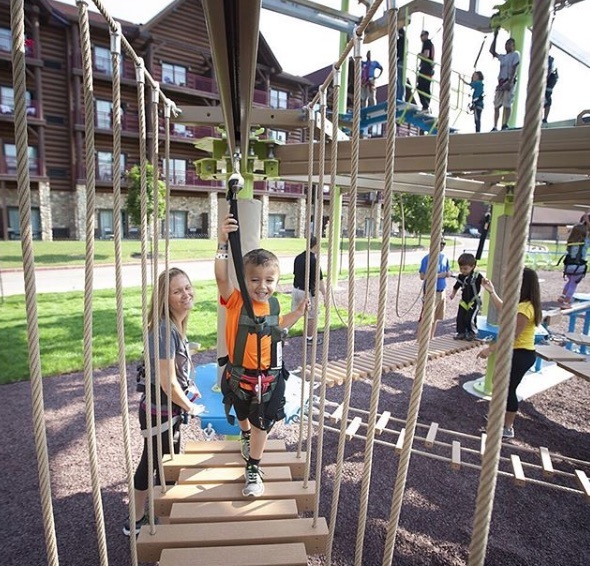 In addition to the fun guests will have in the water, they’ll also be living their best life in the Great Wolf Adventure Park — 27,00 square-feet of — you guessed it — adventure. Kids and adults alike can try their hand at the multi-level ropes course or work on their short game at the mini golf course. There’s also the opportunity to test out your gaming skills at the arcade and the lodge’s live-action adventure game, MagiQuest. With interactive magic wands in hand, you’ll be helping fairies save the fantasy world by battling fiery dragons and grumpy goblins. And there’s more. The Northwoods Friends show is the first-of-its kind animated experience that will use projection mapping on a rotating, 3-D stage. Add to that Yoga Tails will serve as a great way to get kids hooked on yoga, and your entire family is in for more adventure than you’ll know what to do with. 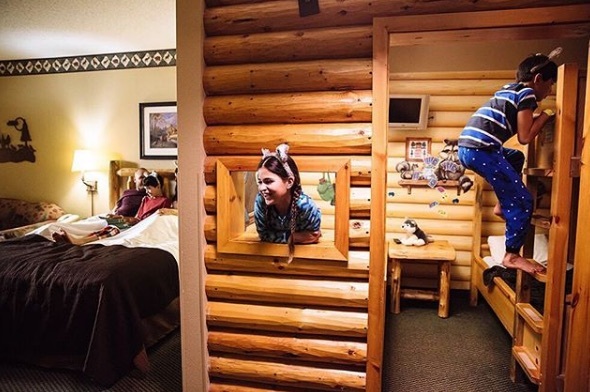 When it comes to lodging at the Great Wolf, kids will love KidCabin suites where they can have their own space, complete with bunkbeds and a Great Wolf Kids theme. Great Wolf Lodge Arizona will surely be a hot spot not only during the summer, but year-round for water and adventure lovers of all ages. Check www.greatwolf.com for more info, and to see the other Great Wolf Lodges you can visit while awaiting the Arizona opening.